Professor Siân Reynolds will be chairing a discussion between Lyse Doucet, the BBC’s Chief International Correspondent, and BBC Middle East Correspondent Orla Guerin at this year’s Edinburgh International Festival on 22 August. The discussion will focus on the ways in which war reporting has changed since the First World War. Tom Conley, Abbot Lawrence Lowell Professor of Visual and Environmental Studies and of Romance Languages and Literatures at Harvard University, will be visiting Stirling in Spring 2015 as the Inaugural Visiting Fellow of the Society for French Studies. He will first give the annual Malcolm Bowie Lecture at the IMLR in London before giving a guest SFS lecture at the University Stirling where he will also lead a postgraduate workshop. 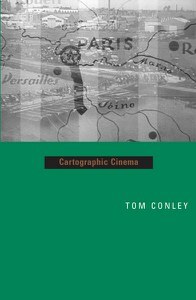 Professor Conley’s work engages with literary and visual culture from the early modern to the contemporary period and his many publications include Cartographic Cinema (University of Minnesota Press, 2007), and The Self-Made Map: Cartographic Writing in Early Modern France (University of Minnesota Press, 1996). His workshops during the Fellowship will focus in particular on cartography and translation. More details of dates and venues for his Prof. Conley’s lectures and workshops closer to the time. 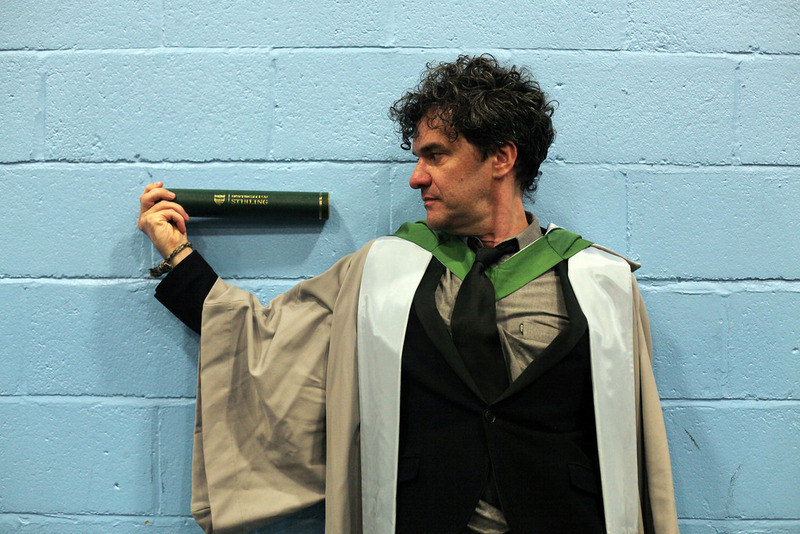 It’s hard to believe that a month has already passed since Stirling’s graduation ceremonies and the great speech by our honorary graduate, film director, critic and programmer, Mark Cousins. Honoured for his outstanding contribution to Scottish cinematic culture and to the reception of global cinemas across Scotland, Mark was introduced by French Programme Director, Cristina Johnston, and brought the ceremony to a close with the following: ‘Let’s be generous, let’s be glamorous, let’s be a bit wild!’ What better advice for a graduating class?! Semester has now well and truly ended, and staff and students are busy with their various and varied summer activities, so this is really just a chance to report on some recent French at Stirling news. Firstly, congratulations to Charlotte Cavanagh who has just completed her second year with us and who has been awarded a Stevenson Exchange Scholarship for 2014-15 when she’ll be in the Bordeaux region working as an English Language Assistant. The Stevenson Scholarship is highly competitive and awarded to students across all the Scottish Universities so this is great news! Congratulations, too, to Fraser McQueen and Rachel Taylor who both graduated last month and who were the recipients of prizes for their exceptional performances over the course of their degrees. We wish them both all the very best in their future endeavours. There will be a couple of changes in staffing for the coming year in French with the arrival of our new Language Assistant, Brigitte Depret, and the departure of our colleague Jason Hartford. Brigitte will be involved with teaching our 1st and 2nd year students, in particular, and Jason is off to take up a post at University of Ireland, Maynooth. Best wishes to both! We’re looking forward to setting up a new Erasmus exchange with Blaise Pascal University in Clermont-Ferrand over the course of the coming months, too. Laurence Gourievidis, Senior Lecturer in Modern British History at Clermont, visited Stirling in the Spring semester and Jean-Michel DesJacques, our Language Coordinator and Study Abroad Advisor, had a very successful trip over there after teaching ended, so everything is well on track for a new partnership. We’re also in the process of renewing our long-standing partnerships with the University of Passau and the Ecole de Management in Strasbourg, with both of whom we run double degree programmes in International Management and Intercultural Studies. Finally, some summer reading from Stirling colleagues: David Murphy has a new article in Francosphères, co-authored with Ferdinand de Jong and entitled ‘Archiving the Postcolonial City’!